Do you have a Amazon Prime credit card? It’s 5% back on all purchases, so if you buy about $2,300 worth of stuff (including digital and subscriptions) per year, it pretty much pays for your Prime subscription. If you only buy half that, you’re still getting about $60 back, which is half the cost of a annual Prime subscription. I have both, though with Ebates you can get 2-3% back from most online stores that aren’t Amazon and another 1-2% from our credit card, so it’s not like huge savings with the Amazon Prime Credit Card if you buy only about $2,300. I enjoy the perks though, and since I have echos and fire tablets, it makes sense to keep it. As for shipping, my wife just noticed a lot of items don’t have 2-day shipping. Still free shipping, but not 2 day shipping. I think it’s because she is buying from 3rd parties on the website, but it isn’t always clear what is directly from Amazon, and what is a third party product. Also, there is the moral dilemma of supporting Amazon. They are pretty much Walmart at this point, but in addition to putting small stores out of business, they are also putting smaller online retailers out of business (the story is if you sell on Amazon, and you do well, Amazon copies you, and undercuts your prices, and puts you out of business, like Diapers.com). https://direkris.itch.io/you-are-jeff-bezos if you want to be jeff Bezos. That’s a lot of stuff, almost $200 per month. I can’t imagine spending that much unless I’m buying groceries. Looking back over the past year, I only had one month where I spent under $200 at Amazon. Other months averaged around $320 or so. I do use Prime Now for groceries, primarily for diet coke and seltzer delivery. Way I look at it, the 5% discount covers a bit over half of my state sales tax. If you set share Prime with your household. And if you use stuff like subscribe n’ save you can get a lot of your basics delivered regularly. And like I said, even if you don’t spend that much, you can still earn enough for a healthy discount on the Prime membership. Oh yeah, I’m not trying to make a case against using the card or Amazon. I just thought the figure seemed a bit out of whack. I have looked for stuff to buy from Amazon on a recurring basis to take advantage of Prime, but I haven’t really found any. There are things like laundry detergent, for example, but I can often find it cheaper elsewhere. We eat mostly fresh meats and produce so there aren’t a lot of groceries we could get through Amazon. We don’t need any consumer electronics. In a house with three people we have 3 TVs, 4 PCs, 2 Chromebooks, 3 tablets, 3 smartphones, and 2 Kindles. We just don’t buy much stuff anymore. Has any heard about the changes going on, besides the price increase? Yeah they’re starting to offer specific day deliveries in some markets and presumably will roll those out. My sister gets some of her orders in an hour or two, and the one-days are more frequent too. I’ve seen no change in 2 day shipping in terms of qualifications. Prime is still very much available but not all third parties offer it. Amazon is not always the default seller even when Amazon sells it. I’ve averaged over $500/month in 2018 and groceries aren’t really available in Canada like they are in the U.S., although I monthly subscribe for a bunch of basics like tea, paper towels/klenex/toilet paper, etc. I do tend to buy almost all my gift shopping on amazon though. Examples of type of stuff I’ve bought in recent months: toaster oven for mom, humidifier for office, tools for renovations, some halloween Universal legacy blurays, an xbox elite controller, shower bench, flashlight, protein powder, shoelaces, tea kettle, Red Dead Redemption 2 guide, some grooming stuff, jeans, an ice cream scoop, Marvel Omnibus hardcovers, Apple charger, keyboard cleaning brush, compressed air, extendable tie rack, other blurays, an RCA to HDMI converter, slippers, belts, shorts, casual shirts, external hard drive, running shoes, bluetooth shower speaker, bath overflow drain cover, sleep mask, etc. There’s always crap to get, heh. We are in a mode of doing our best not to add to our pile of things, so we tend to buy consumables and little else. I did buy a couple of Fire sticks on Cyber Monday, and the DNA genealogy thing which was half price. The GF does buy some stuff on Amazon, mostly protein mixes or shakes I think. We’re just not the big consumers we used to be. Intersting tidbit here. I had mine done a a few years ago, and it was given to me a gift. Apparently they have upped their technology, technique or something of that nature, and they updated my results as well; this was Ancestry. they continue to have more data to analyze and compare, mainly. I don’t know about Ancestry - I did mine a few years ago with 23&me and I’m glad I did it back then, as the information they provided then was actually far more detailed than it is currently – there was lots of medical information included. For whatever reason, they now no longer include medical analysis - just genealogy - which is still very interesting, but not as much as knowing of potential medical ailments/proclivities. I am not sure if this the actual reason, but the discussion about medical information being read and decisions made by non-medical professionals are a concern. Personally, I don’t think that’s a good reason to deny someone information, but it is scary to think someone might become an internet doctor and use their data to make rash decisions. They have two products, one of which is only genealogy and one of which is that plus medical. It is true, though, that they have in some cases reduced the amount of information they include (or inferences they make available to you, or whatever). That’s funny, because when I saw them on Black Friday, they only had the kits with medical analysis. I knew my wife had been thinking of getting them for her sister and mom, and I told her the 23 & me were 50% off for 99 bucks. She said that was the normal price. The confusion was because they didn’t have the kits without the medical analysis. I bought the kit that was $50 after the discount. A quick question about Alexa. Can you ask Alexa to play a tutorial on how to use Alexa? Hey, an email about all the new benes I get! Exclusive savings at Whole Foods Market: Deep discounts on select popular products, an additional 10% off hundreds of sale items throughout Whole Foods Market stores and 2-hour delivery in select cities. 5% Back for eligible Prime members with the Amazon Prime Rewards Visa Signature Card. Prime Wardrobe: You can now try before you buy from eligible items across women’s, men’s, kids’, and baby clothing, shoes, and accessories. You get seven days to try-on the items at home and you will only be charged for the items you decide to keep. Shipping and returns are free. Amazon Key In-Car, in-home Delivery: As a Prime member, get your Amazon packages delivered securely inside your home or into your vehicle parked at home, at work or near other locations in your address book. Available in over 35 cities for supported vehicles. Free Same-Day & One-Day Delivery: Now available in over 8,000 cities and towns nationwide. Check your zip code to see which options are available. Prime Now: Free 2-hour delivery on thousands of items. Shop from Whole Foods Markets stores in select cities. Now delivering in over 30 cities nationwide. Amazon Fresh: Expanded product offerings including meal kits and select Whole Foods Market products now available for delivery. 1-click reorder option now available. Prime Video: New original movies and TV shows including Jack Ryan, The Big Sick, The Marvelous Mrs. Maisel, The Romanoffs and Sneaky Pete (new season) have been added to Prime. Stream at no extra cost. Prime Music: Alexa is now available in the Amazon Music app for iOS and Android. Listen to over two million hand-curated songs and thousands of playlists and stations, always ad-free and on-demand. Amazon Photos: Prime Photos is now Amazon Photos and offers free unlimited full resolution photo storage and 5GB of video storage for Prime members. Now use just your voice to view photos on Fire TV and Echo Show. The entire Shopping Section I either can’t or won’t use, and I see no reason to be interested in the Photo piece because they yanked music storage without a lot of notice (for tracks you did not buy from Amazon), so they’ve already proven how unreliable they are there. Oh wells. So I had to refill on cat and dog treats. Two-Day is… 5 days. I wont count today since I’m ordering it at 11:30 at night, but uh… that’s not remotely 2 days. I may have to ration the cat treats to make it to Monday. Well if it makes you feel better, I got my first Chewy order this week, and it was packed so badly everything in it was crushed by the cat food. It came in two days though. I won’t be using them again. 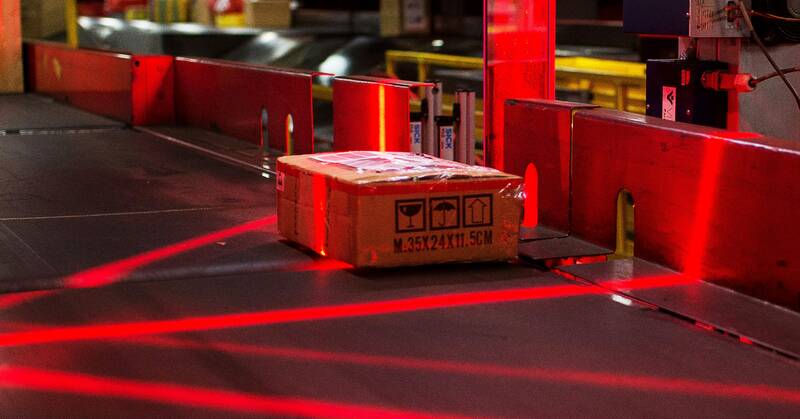 Getting Amazon to take down counterfeit product listings can be a pain. 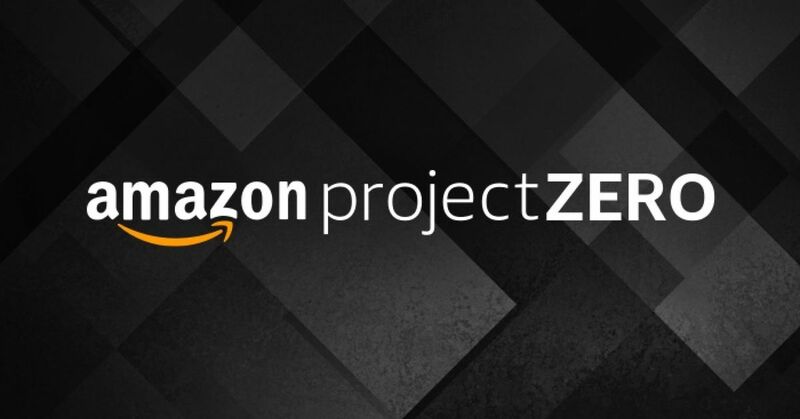 With Project Zero, the company wants to streamline that process—by playing a smaller role in it. We’ll see if this will be useful against actual counterfeits or used by brands to combat unofficial resellers, say people who buy things on clearance at home and sell them online… something that a company like Netgear doesn’t seem to like but that is not a counterfeit product.